Hello beautiful earthlings! 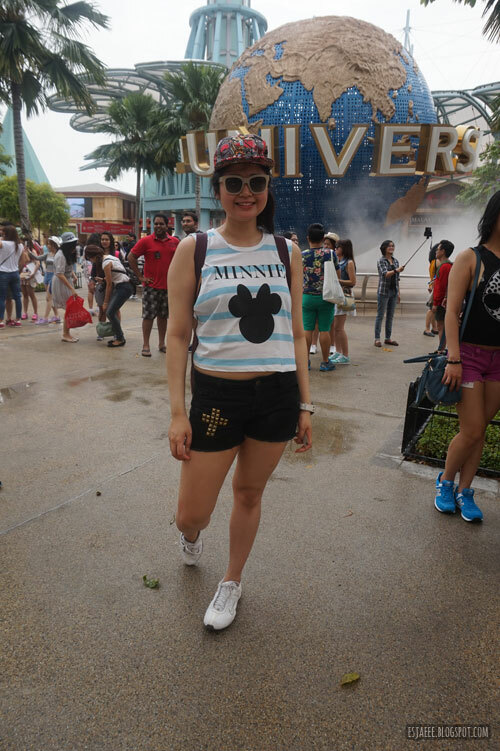 July 4th was our third day in Singapore and spent the entire day in Universal Studios. 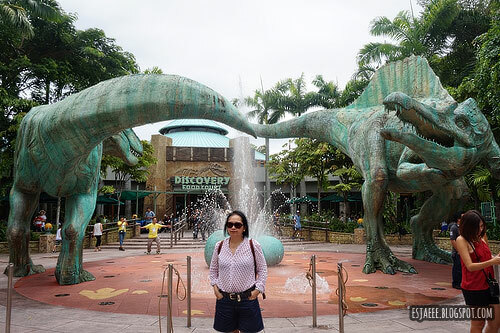 Like I have mentioned in my last Singapore travel post, we bought our Universal Studio tickets at AsiaTravel since they were and still are offering a 2-in-1 promo deal for Universal Studios and Adventure Cove. 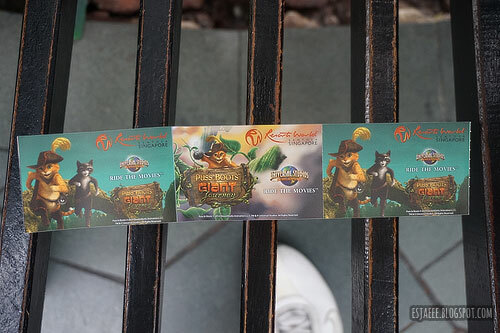 At Resorts World website, those two attractions would cost up to SGD 110 while AsiaTravel sells those attractions for just SGD 93. That is almost €11 difference and €11 costs a lot! 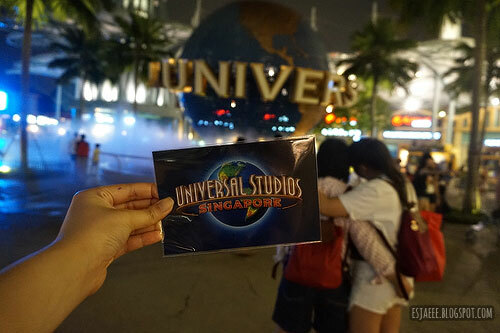 The Universal Studio tickets we bought from AsiaTravel included a lunch voucher worth SGD 5 and a retail voucher for SGD 5 with a minimum purchase of SGD 35. We got an order confirmation from AsiaTravel sent to our email. We then brought a printed copy along with a proof of identification of the person who paid for the tickets at Kiosk 9. 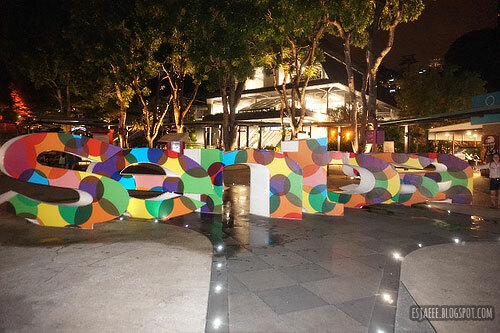 It is located in the parking area of the casino entrance at Resorts World. 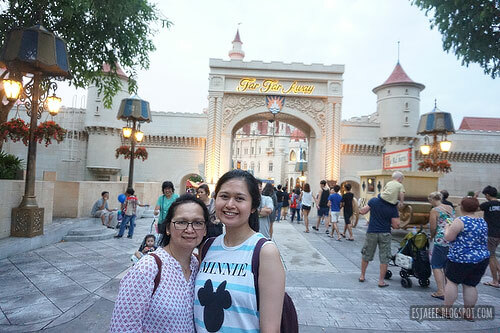 We took the taxi from the area that we were staying in to Sentosa again for this day. Sorry but Disney for life! I was such a rebel going to Universal Studios with that top on. I was being a troll with my sisters/seastars. All three of us wore Disney related shirts. 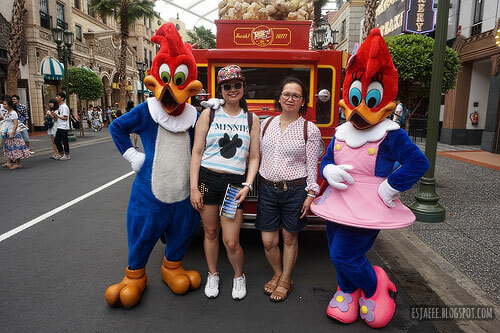 We saw Woody and Winnie Woodpecker near the entrance and they were the first mascots we saw, so our first instinct was to take a photo with them! The first attraction we rode was in Madagascar. 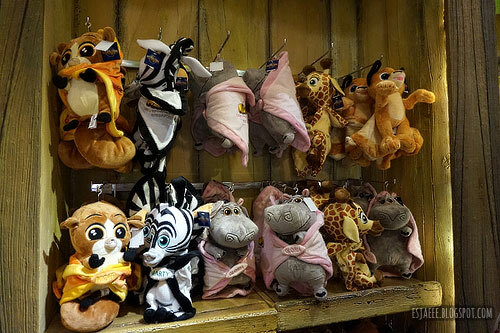 After the ride,we were lead to the souvenir shop. I found the characters in their baby selves! So adorable! After Madagascar, we went straight to Far Far Away and went to ride the "Enchanted Airways" attraction. 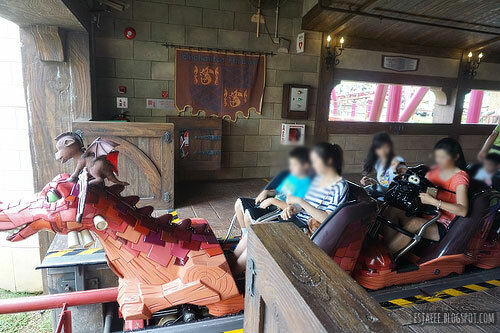 It is a mini rollercoaster ideal for families and children accompanied with an adult. We waited for about 20 minutes with this ride. And yes I snuck in my camera and took a photo of us at the top and immediately switched it off as the rollercoaster was about to drop. The next ride we took was "Puss in Boot's Giant Adventure". The waiting time for this ride was about 30 minutes. I did not get to take any photos with my ninja skills at the top of this ride since it was faster than the ride we took previously. 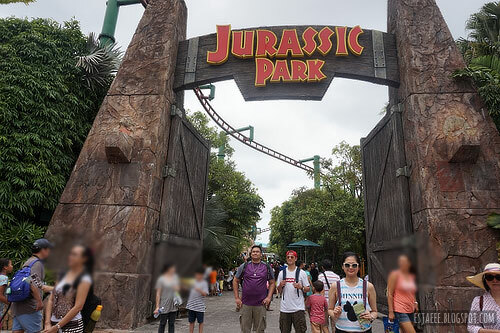 After Puss in Boot's Giant Adventure, we headed over to the Lost World of Jurassic Park. We went for the Rapids Adventure. 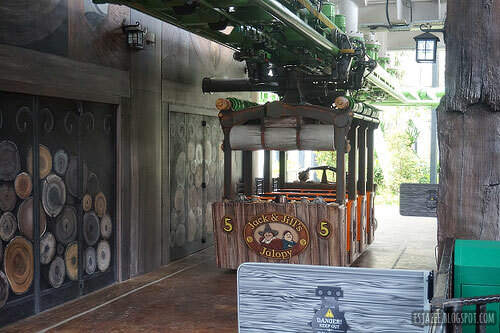 Boy this ride frustrated us with the wait time. And when they said that the wait time was two hours from where we were standing, they were not joking! We waited 2 hours to get on this ride. I regretted not bringing any snacks to munch on. All the snacks was left behind with our mom. Mom does not like getting on rides so she waited for us for two hours. She mentioned that she slept somewhere in Lost World and watched some Shrek related show before that! 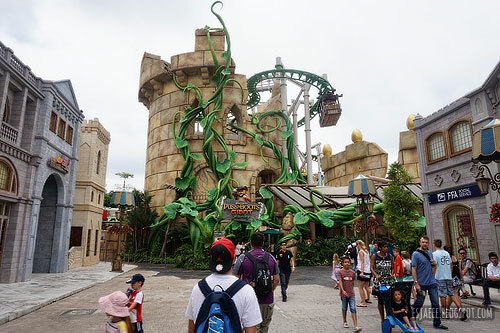 Rapids Adventure is a ride that will guarantee to drench guests so I advise to bring raincoats with you. We spent SGD 4 for raincoats for just one use! Our hair and shoes got wet though! We were already hungry at the time we got off the Rapids Adventure, we decided to just stay in Lost World and have lunch at their Discovery Food Court. They offered combo food sets that included the main course of your choice, with a dessert and a drink. As far as I can remember,Discovery Food Court offers Asian cuisine. It is my regret not trying their laksa or any laksa. 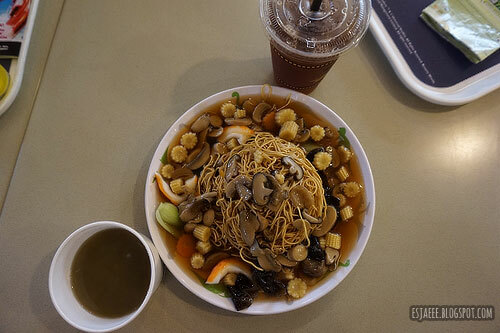 I heard that it is a popular dish in SIngapore that is worth a try but I did not like eating hot soup on a hot day so I just got plain, boring noodles. I actually got the vegetarian noodles from the menu. I got the combo set so I got sweet, hot green mung bean for dessert and peach iced tea. I found the dessert quite strange since I was not used to it! I was expecting something cold! This was about SGD 11.50 and I only paid 6.50 since I used my meal voucher. The portion was huge and I could not remember if I finished this or not! 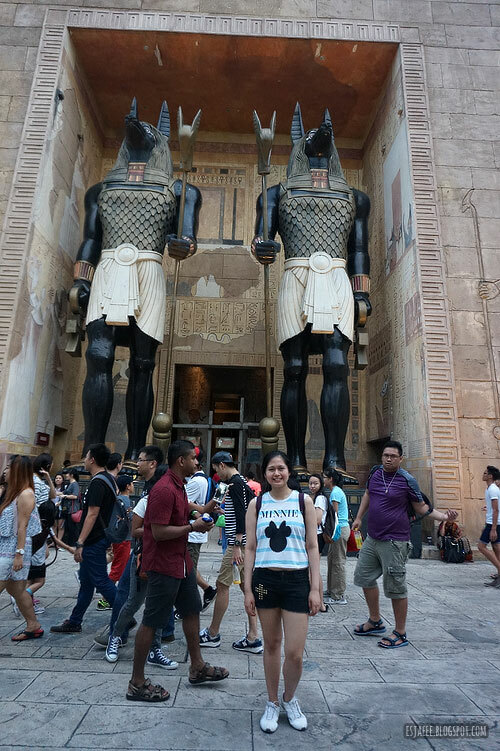 After lunch we headed over Ancient Egypt to ride Revenge of the Mummy! 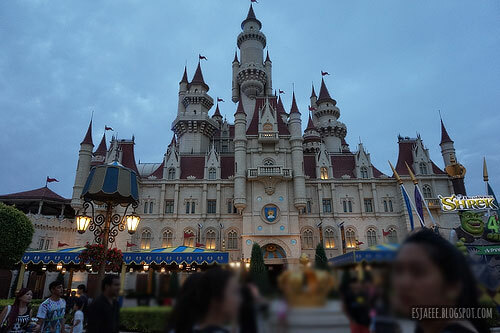 Any loose personal belongings such as phones, bags and cameras were not allowed to be brought in the attraction. There were lockers within the perimeter for guests to store their belongings for free for 40 minutes as far as I could remember. A little advise from me to you is that you keep all your loose belongings inside your bag. I had my sunglasses outside my bag and I left it inside the locker. I did not double check if I left any of my things since we were in a hurry to get to the next ride. 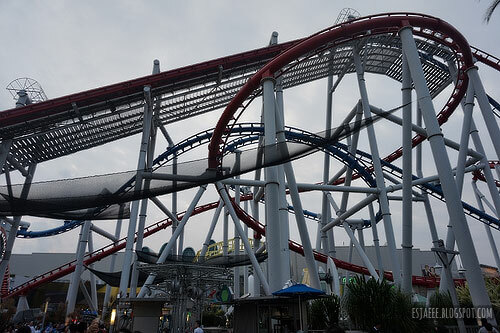 After that ride, we headed over to Battlestar Galactica: Human Vs. Cyclon. We got on the Human ride and the wait time was about 40 minutes. It was a good ride though we heard that Cyclon was way faster. Unfortunately, the wait time was 2 hours from the line that we were standing. 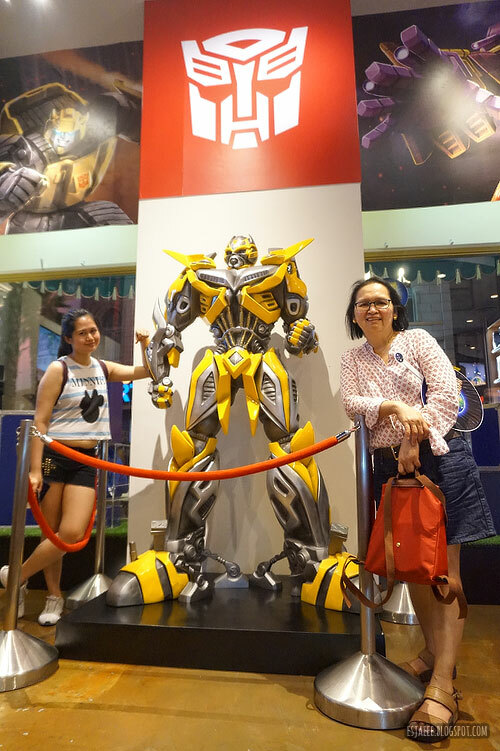 We decided to just go to the Transformers ride attraction instead. 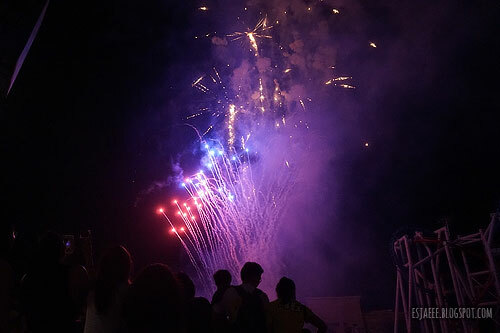 By the time we finished Transformers, the staff was not already accepting more guests since they had to prepare for the firework show since it was the 4th of July. 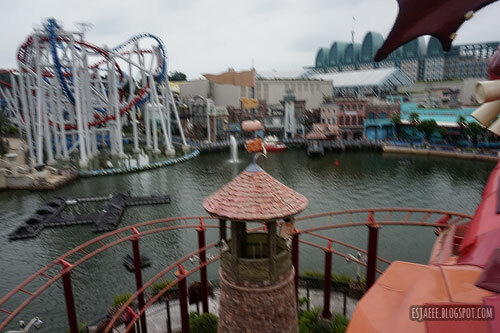 We headed over Far Far Away to kill time and take photos! 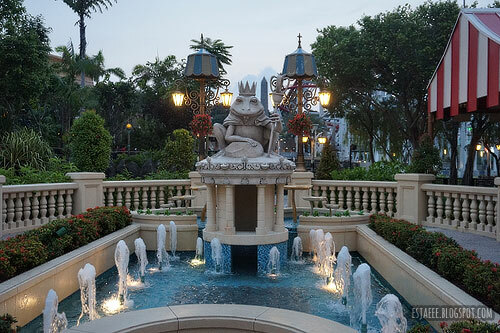 A statue to commemorate the Frog King. 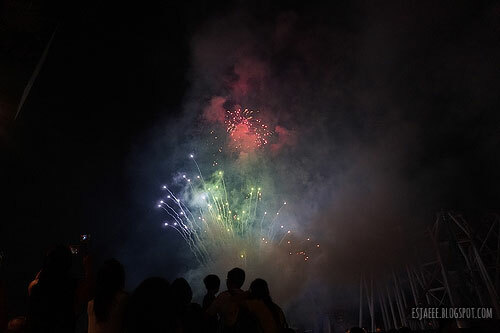 The firework started once the sun was already down. I think it started at 8 PM. 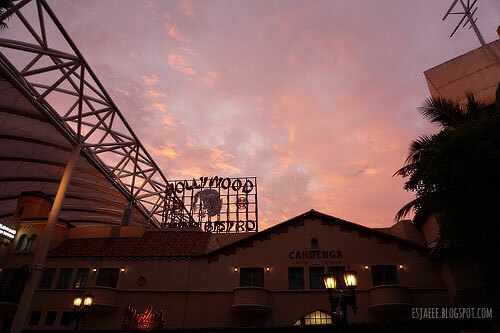 The sunset that day was beautiful! You could see Battlestar Galactica at the background! After the firework show, we headed over to the souvenir store where my sister Nikki bought some stuff. I just got me a postcard. 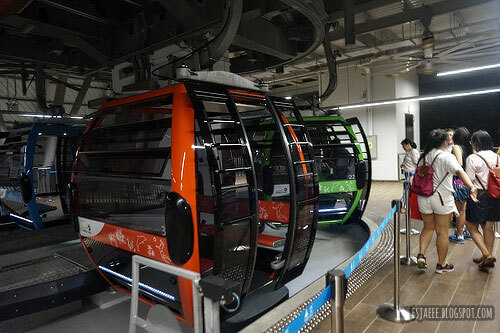 My sister Steffi insisted on getting on the Sentosa Cable Car. 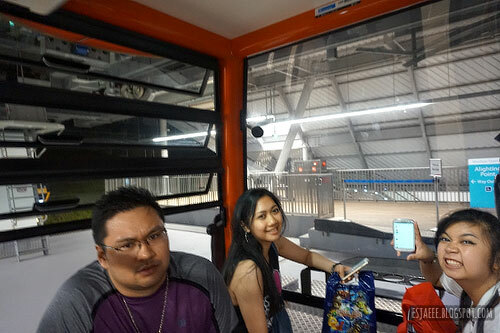 Instead of going back to the entrance of the casino, we kept walking towards the Sentosa LRT line (as far as I could remember it was that) and it was free of charge. 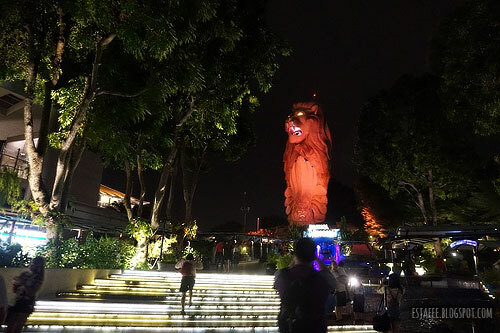 I got a little excited when I saw a statue of the Merlion! 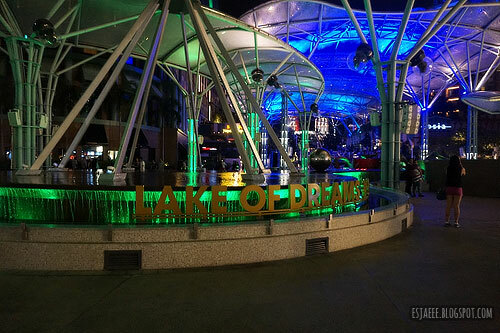 This was the Merlion Station where we took the cable car as far as I remember. 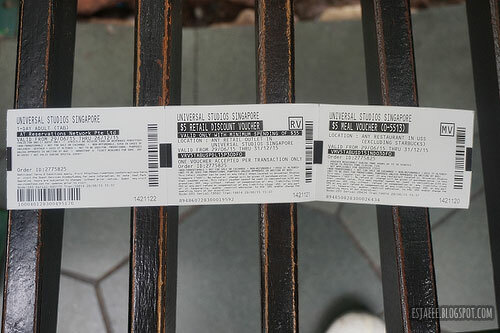 We got a single pass ticket from the Sentosa line for SGD 13.Check the prices and full details here at their website. Faber Peak's website is also helpful. My brother looked so grumpy. I wonder why. I bet those two girls were annoying him! Haha just kidding! 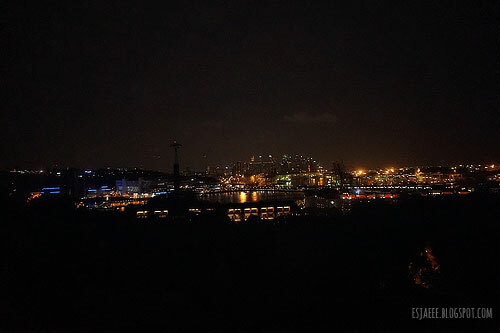 It was so pretty to get on the cable cars at night since you could see the city light up. I think we were lucky enough that there were fireworks when we were at the top. 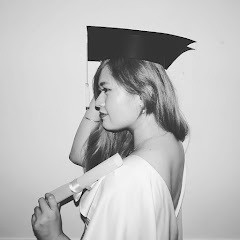 I would like to thank everyone who has watched my vlogs, read my blog posts and supported me! I am overwhelmed with the love and support! Thank you to Nikki who patiently took some of the photos that feature me in it. She complains how I never get to credit her but here ya go! 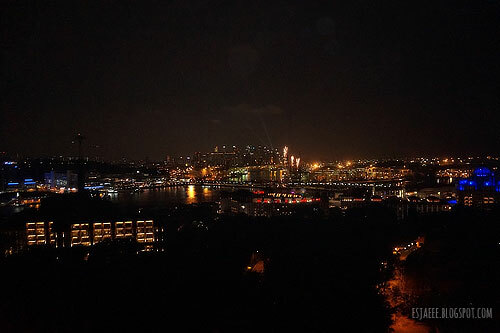 One more Singapore related vlog and that would be it! 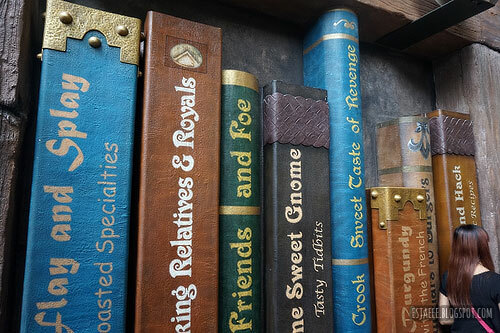 I hope you enjoyed reading this blog post and I will see you in the next one!